Photographer Alexander Khimushin was born in Yakutia and now lives in Australia. His photo project “The World In Faces” has become truly global, encompassing dozens of peoples, including those who live on various continents, even in the most distant corners of the world. – Where did the idea for your project “The World In Faces” come from? Are we only talking about the indigenous peoples of Siberia, or is the scope of the project much wider? – I’ve traveled for the last nine years. I practically live on the road. From the very beginning I wanted not only to see the natural and human-made wonders of the world, but also to get to know this world from within, diving into the surrounding reality, as if I were trying on the lives of ordinary people in other countries of the world. It was my encounters with people from other cultures and religions and the chance to get to know their lives and traditions that were the most unforgettable impression and greatest experience in all my years of traveling. Despite all that we hear today about our differences, perhaps the most important thing I discovered was that in spite of any political, religious, or racial disagreements, simple folk always welcomed me joyfully. They were very open and hospitable and ready to come to my aid when needed. I realized that people living at the opposite end of the earth were the exact same as people who lived next door. Of course, everybody is different, but is that really anything to be proud of? Instead of fighting and hating each other at the slightest pretext, we should take pleasure in our diversity and respect people regardless of their race, religion, or culture. I wanted to share my experiences with a wider public. From the very beginning of my travels, my camera was a faithful companion. At a certain point, when I was going through my photo archives, I decided to gather together all the portraits that I had shot in many different countries. When I had done this, I had before me the faces of nearly two hundred people from all over the world. Looking at them, I began to remember the rich, unforgettable encounters we had. Meanwhile, everything within me somehow unexpectedly fell into place. I suddenly found the main meaning behind my travels: it was right there at the surface, although it took years of travel to get to this simple conclusion. This inner transformation, which was prompted by my encounters with people of other nations, grew into a desire to continue what I had started—to collect the photographs of ordinary people from all over the world and to introduce people to the culture and traditions of people living in remotest corners of our planet. So the idea for my project The World In Face was born. I’ve dedicated the last three years of my life to it and have no regrets. – You have been shooting this project for three years now. Tell us why it took so long to finish it. – There are around 10,000 national groups living in the world. An entire lifetime wouldn’t be enough to visit them all, but I will try to do as much as possible. Today the project has grown into a sort of mission for me. I spend pretty much all my time working on it. I do this work independently, without any commercial interest or sponsors—it’s basically a volunteer position. It takes a long time to travel to faraway places where the indigenous people have preserved their traditions and ways of life. For instance, I recently spent six months in Siberia, driving around 25,000 kilometers to the most distant places, all alone in my car (which had been refitted for camping overnight). Representatives of 41 national groups live out there, including some with small populations. This is a massive territory, about 30% greater than the territory of Canada, the United States, or all of Europe put together. As a result, despite traveling such a long distance, I was only able to visit and make portraits of half these groups. My photographs have caused a real sensation on the Internet, and in a short amount of time they have been distributed literally all over the world. The project has received a great amount of interest today, with publications in more than 60 countries, including global media outlets like Daily Mail, Huffington Post, Daily Telegraph, Xinhua, and others. – How many national groups have you been able to visit? Was it easy to get them to let you into their lives and agree to being photographed? – As of today, my collection for this project contains photo-portraits of people representing approximately 70 nations. Its geographical reach is quite vast: from the high mountains of Guatemala to Yakutia, from Japan to the tribes of Africa, from Australian Aborigines to Tibet and Afghanistan. People everywhere have their own rules of decorum and traditional ways of life. As the saying goes: “When in Rome, do as the Romans do.” So there isn’t a universal formula. In one place, people will happily go along, but somewhere else photography is almost a taboo and it will take a lot of work to take the photos. I can say one thing with complete certainty. Sincere interest, respect, and a positive attitude can always break the ice when you are interacting with people of another culture, even if you don’t understand the language. People always feel the energy coming off of you, so it’s impossible to hide it. Openness, goodwill, and the ability to get along with others are perhaps the main qualities needed for my work. – You have a great amount of experience, enough for an ethnographer to envy. As you see it, have smaller national groups been able to preserve their traditions and ways of life? Are young people still interested in their roots? – If one looks at the question on a global level, things today aren’t in the best shape. The overall globalization during just the last 50 years or so has destroyed what existed for millennia. The world is quickly becoming one giant city. Traditions are being forgotten, ways of life are changing, languages are disappearing—not just languages but whole nations. I saw a variety of things while traveling across Siberia. 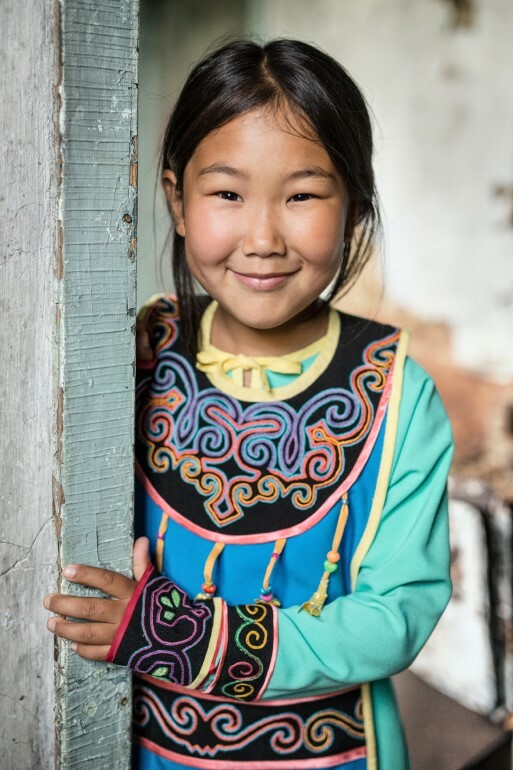 Wherever the indigenous population make up the majority—for instance, in the Republic of Buryatia or Sakha (Yakutia)—an unprecedented rise in national self-identification is taking place. Traditions are resurfacing, people eagerly learn their native languages, and in general, there’s a rebirth of national culture going on today. Now, the situation with less populous nations is much less rosy in many places. There are places where a previously flourishing indigenous nation will be reduced to a couple hundred or even a few dozen people. The last of their grandparents are passing on, and as a result they are losing their native language, which the younger generation doesn’t know anymore. Their traditions and culture are almost entirely lost. It’s very sad to see this situation and to talk about it with those few enthusiasts whose hearts ache over this. Therefore, I consider it my duty to make it out to these all groups, to gather bit-by-bit what little still exists of their traditional homes and dress, and to photograph the old women and men who won’t be around for long. Many people get upset about the extinction of rare animal species (which is certainly also a major issue), but hardly anyone thinks about the fact that whole nations are disappearing right in front of our eyes. I hope that my project will allow the world to finally learn about these unique people and their culture. So I’m very happy that the Siberian photographs in my project have received such a wide resonance in worldwide media. – Your portraits of members of indigenous groups are quite expressive. How did you pick your subjects? Did you encounter any difficulties while taking the photos? – I don’t usually pick subjects for the project. I photograph everyone who wants to take part. I very much appreciate it when people agree—they come to me and pull out trunks with all their grandparents’ outfits and family valuables (some of which are from the 17th or 18th century). It’s only later that I pick out what I think are the most interesting and colorful portraits, those that reflect both a characteristic appearance for members of this group and traditional national dress. I always ask the women to be as natural as possible: to emphasize specifically their natural beauty and to be photographed without makeup. I’m always running into difficulties in this work. I need to spend long periods of time far from civilization, without amenities, spending the night either in the car or wherever I can find—in locals’ houses, school offices, and so forth. 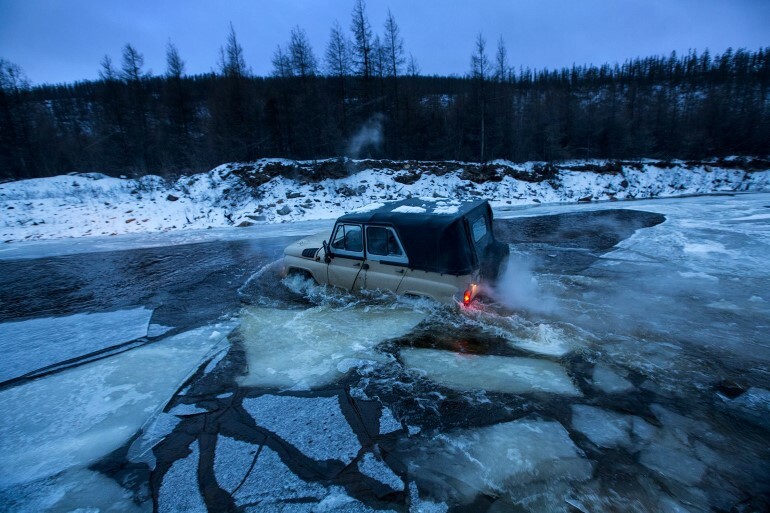 It’s also always hard to reach the distant villages: to travel in the taiga alone, especially in subzero temperatures, passing through areas with no roads, crossing mountain rivers, and driving across the ice or on winding mountain roads. Or for instance, sometimes I have to travel through dangerous areas. Thus, I drove my car down a stretch of rode in Afghanistan, when the Taliban—who would behead any foreigner they met—were just 25 kilometers from where I was. In Africa, I was detained in the middle of the day for taking pictures in the street. As a result, I spent five days in a local jail, my photographs were deleted, and I was expelled from the country. Difficulties with provisions come up quite often; sometimes health is an issue. For instance, I came down with tropical fever and cerebral malaria in Indonesia. Now I’m in New Guinea, where just last week there was massive unrest and even now certain regions of the country are closed to visitors. – Which of your subjects made the greatest impression on you? – I don’t have any real preference among them. I find the culture and traditions of every nation to be incredibly interesting and unique. I just remembered the 93-year-old man Dorji in Buryatia: they told him I was coming but didn’t say when exactly. As a result, when I came to his village late in the afternoon, the poor man had (as it turns out) been waiting since the morning in full dress: he was wearing traditional embroidered boots with upturned toes, a ceremonial dygyl (fur coat) decorated with medals from the Second World War. And then, he went and tried to give me a thousand rubles for photographing him. Of course, I refused to take it, and I also felt awkward that he had had to wait for me for so long. I’m going back to visit him this fall—I’ll certainly bring his photo-portrait with me. 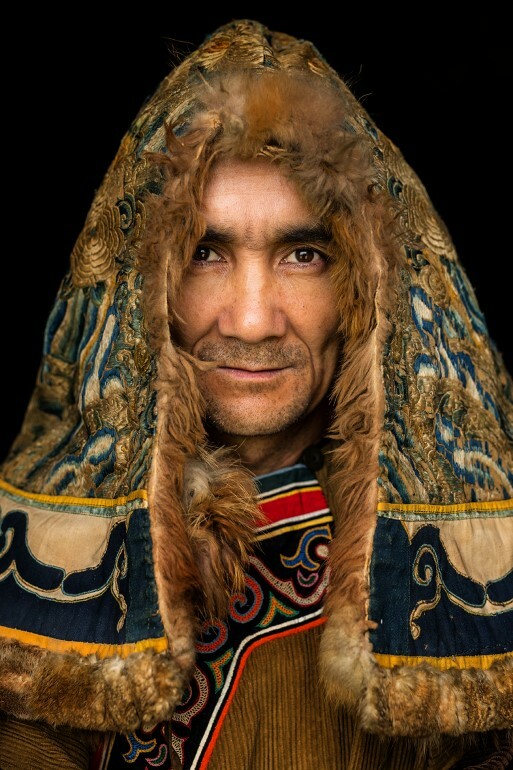 Though they may look stern, Siberia has such remarkable, open, and hospitable people. – Your portrait of an old woman from the Ulch indigenous group has received more than half-a-million views on a popular website. How do you account for its incredible popularity? 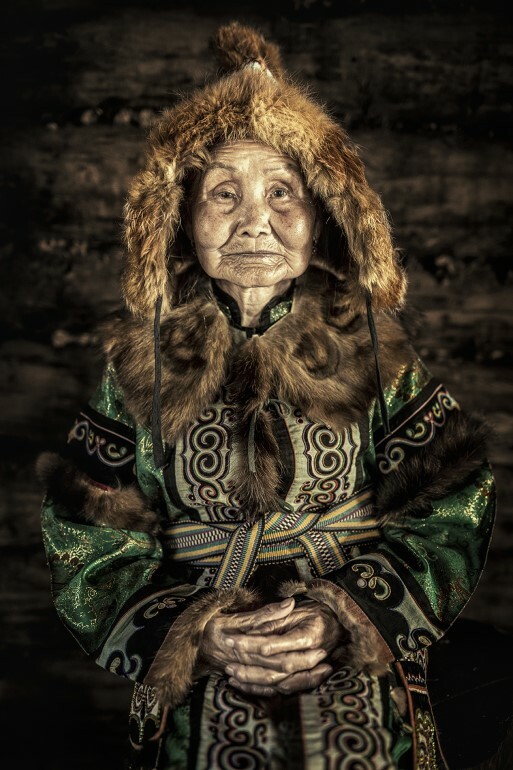 – I put this old woman on the cover of a series of 35 photographs, and even though there were also some pictures of good-looking Siberian women, she caused a real stir. It seems like the whole world has fallen in love with her. I think that this is part of a general interest in our indigenous and smaller national groups, which are even now not very well known—not just abroad, but in Russia as well. I’m very happy that my project has found such a strong resonance all over the world. People from everywhere have literally inundated me with words of thanks for telling them about remarkable people who they didn’t even know existed. Their interest inspires and invigorates me as the project continues. Two weeks ago I was invited to Sakhalin by the international charity the LeCiel Foundation. They had seen my photographs of members of the small, indigenous Uilta tribe, of whom only about 200 people remain, and they asked me to assist them in organizing meetings and in translation. As a result, I introduced them to the Uilta elder, the 73-year-old Minato Siryuko, who has spent her whole life trying to revive her disappearing culture and calling on people to preserve the surrounding environment. This meeting led to them inviting Siryuko to the UN this coming November, to a congress of elders from 12 corners of our planet, which includes representatives of tribes in Africa, the Amazon, Australia, and so forth. The Council of Elders will discuss the problem of reestablishing the connection between humans and nature. The organizers hope that a meeting between these people will help to find a solution for all of us. I was invited to accompany Siryuko to New York, and I eagerly agreed to take part in this important activity. – What do you plan to shoot next? And where? – At present, I’m photographing the tribes of Papua New Guinea, one of the few places on Earth where old traditions have been preserved. I’ve already made quite a few portraits. Afterwards, I will take another long trip to Siberia. I still need to cross the vast territories of Tuva, Krasnoyarsk, Altai, and Western Siberia. I was recently invited by the Costa Rican Ministry of Culture to exhibit my work at their country’s National Museum, though I’m not sure whether I will be able to make it there—after all, I need to finish my work in Siberia. In the longer term, I’m planning a major trip across Africa. Members of more than 3,000 nations live there, and many of them are almost unknown to the rest of the world. You can find other photographs by Alexander Khimushkin on his Facebook and Instagram pages.